Curious to know if the UNIUYO cut off mark 2019/20 has been released? Or Has Uniuyo announced the date of her post UTME? These are questions that most of the student will be willing to get answers for especially now that they just concluded their UTME examination. If you need answers to them, then you are in the right place. 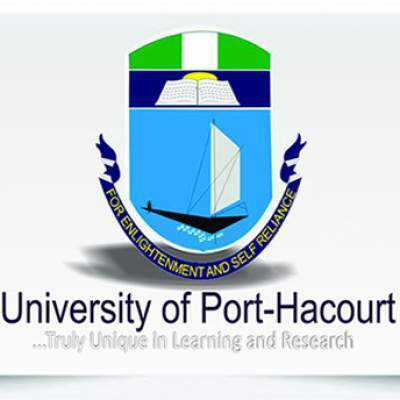 Are you looking for the UNIUYO Departmental cutoff marks for the University of Uyo? If your answer is yes, then browse through our content as we decipher the marks to you. It was recently that JAMB concluded it nationwide examination which a student must pass before he can secure admission to the University. 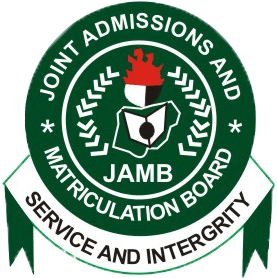 Normally, JAMB usually set the baseline mark called cut off the mark that a student must get before he can be considered for admission. Over the years, the mark has been set to 180 even though for some it is 200. However, fortunately for you, your University is adopting the 180 as the baseline mark in JAMB before you will be considered to write the school Post UTME. Cut off the mark is like baseline mark that is set by Joint Admission and Matriculation Board or School that a student must pass before he or she can be considered admission into the University. The one set by JAMB is the conventional JAMB cut off the mark that we all know about, while that of the school is the one set by the school itself, the Post Jamb Cut Off Mark. As a student that aims for admission this year, your ultimate goal is to get the required score that will give you an admission this year. But believe me, getting admission into a University especially like UNIUYO takes more than that. You know on a yearly basis, the number of applicants to a University is always on the high side, which implies that competition will also increase. And also know that the complexity of the competition will depend on your chosen course. Competitive courses like Medicine will, of course, be much more competitive than less competitive courses and as such, you have to score a high score if you want such course. Actually, University of Uyo has not released the UNIUYO departmental cut off mark for the 92 departments that the school has. In this article, however, we will be focusing our light on the past year cut off the mark because there is always a thick line of connection. They do not usually change the cut off marks!!!! Unlike other Universities, where your admission will be judged by the average mark scored from the cumulative of JAMB and Post Jamb, Uniuyo usually bases its own Post Jamb Score on the 100 percent scale. For the Jamb score, the minimum you must get before you even have the qualification to register for the Post Jamb Examination is 180. Meaning that you scored more than or equal to 180, you are good to go for the Post Jamb Examination. But do not forget by putting it on your left hand that the more you score higher in the Jamb Examination and Post Jamb examination, the better your chances of getting admission. Soar Higher for a chance. During your Jamb registration, you must have chosen UNIUYO as your first choice University. This is important because those that chose the university as the first choice will be having more chances than those that choose them as Second Choice. Please note that unlike other universities in Nigeria, the University of Uyo does not accept awaiting the result. If this is your case, I guess the University of Uyo is not for you. Please quickly revert to a University that will consider you in order for you to get admission this year. You know time is running away from us. In the upcoming Post Jamb examination, your duty is for you to ensure a higher mark in the examination in order to have a chance in the admission process. However, you have to know that scoring a higher mark both at the Jamb and Post Jamb level will not guarantee you automatic admission. It is based on luck and remembers that not all that passed will be chosen. You have to score higher in order to have a greater chance of getting admitted. Finally, please note that just like other Universities their own catchment area, so do the University of Uyo also has its own. For the Post Jamb cut off the mark, please note that the minimum you must get is 50%, meaning that anything below this is a shaky chance of getting admission. However, also note that depending on the type of course and how competitive it is, hence the score. For competitive courses, you are expected to score at least 80% to stand a chance of getting admitted while for less competitive courses, you still must score higher. Below is the cut off marks for all the departments in the University of Uyo. Look for yours and see the mark. There they are, the UNIUYO Cut Off a mark for all courses. Look for yours and see the mark you must get to have a chance of admission this year. Getting admission in a country like ours is one of the most competitive challenges that one must face and conquer. But how does one face such challenge and conquer? It is by your hardworking and prayer to Almighty God as he is the only one to give you a guarantee. You know you cannot allow this year to pass again without you gaining admission into the University. Thus, you have to act smart or better smarter in other to get your chances. They say behind any successful scene, there is an unsuccessful scene. All good things do not come easily. You have to work for it. Soar higher and make yourself proud. 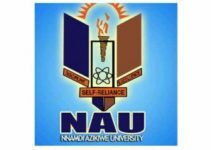 I hope this article will help you with your findings 0n UNIUYO Cut Off Mark for All Courses – Departmental (Jamb and Post UTME). Best of luck and congratulation in advance for your admission into Uniuyo.